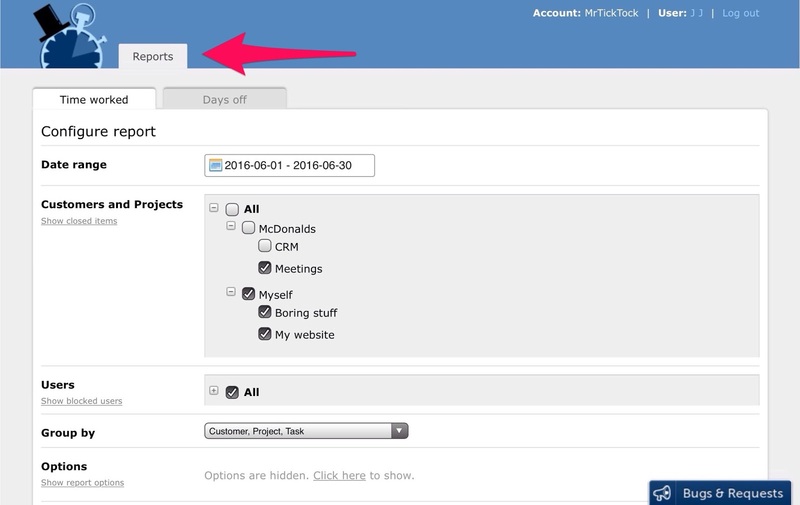 MrTickTock is an easy to use time tracker with an agile spirit. MrTickTock 3.5 has just been released and published at http://mrticktock.com. 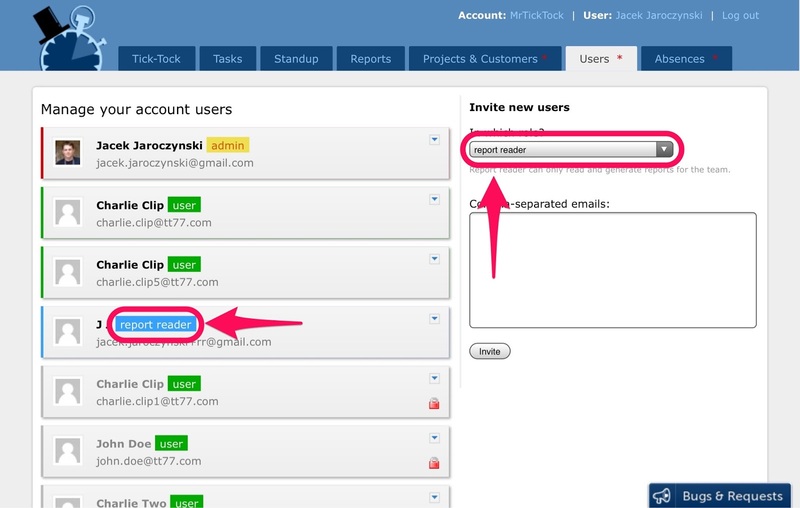 MrTickTock offers few access levels for its users to satisfy most common needs. In this version we have introduced "Report reader" role that gives a user access to all reports but does not allow for wider administrative access nor time reporting. In next versions we will focus on internationalization of MrTickTock. We are also waiting for your suggestions and ideas! Please drop a comment below or browse our feedback system. Follow us on Twitter if you haven't already.